Dercos Anti-Dandruff Shampoo For Greasy Hair is Vichy's first patented formula enriched with Selenium DS and Cohesyl, to help purify and soothe the scalp. The shampoo for greasy hair targets visible dandruff flakes from the first wash, to help eliminate the appearance of dandruff and oily hair. 4.5 out of 5 stars - Vichy Dercos Anti-Dandruff Shampoo for Normal to Oily hair 200ml. 47 product ratings47 product ratings - Vichy Dercos Anti-Dandruff Shampoo for Normal to Oily hair 200ml. NETTLE KLORANE DRY SHAMPOO WITH NETTLE 3.2oz / 150ml FAST SHIPPING! KLORANE DRY SHAMPOO WITH NETTLE 3.2oz / 150ml. Revive and refresh your hair. Klorane Dry Shampoo with Nettle refreshes your hair in-between washes without water and is especially for oily hair. Klorane combines the best of nature with pharmaceutical knowledge to create botanical products suitable for the entire family and continually strives to understand skin and its components while focusing on the benefits of natural ingredients. 4.5 out of 5 stars - NETTLE KLORANE DRY SHAMPOO WITH NETTLE 3.2oz / 150ml FAST SHIPPING! 8 product ratings8 product ratings - NETTLE KLORANE DRY SHAMPOO WITH NETTLE 3.2oz / 150ml FAST SHIPPING! Includes 40 oz. of 2-in-1 shampoo and conditioner. Deeply cleans and invigorates hair with a refreshing effect. Real ingredients, real results! Benefits of Honeydew Products Oily Hair Shampoo Oily hair occurs when too much sebum, a naturally occurring hair lubricant, is produced by the scalp. Formula Geared Towards Causes and Conditions of Oily Hair. It promotes good scalp health by increasing circulation and balancing pH levels and sebum levels on the skin. Our formula kills germs, promoting skin relief from itchy irritants, and leaving you feeling clean and soothed without scalp flakes or hair loss. Shampoo : Wet hair, apply shampoo and gently massage into hair and scalp. Rinse thoroughly. Follow with Luseta Apple Cider Vinegar Conditioner. Sulfate, phosphate & paraben free. Conditioner : Use after shampooing. Nettle Shampoo Bar is one of the hair care products that will help to improve the condition of your hair. So, the main ingredient in this shampoo is Nettle. This amazing plant has the most beneficial effect on the human body as a whole, and on the hair in particular. 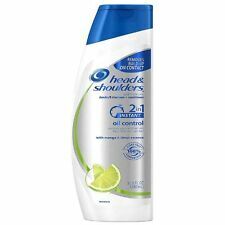 Size: 32 Oz This NORA ROSS GARLIC Shampoo prevents and cures seborrhea (a yellowish grease that looks like dandruff but is oily and malodorous). Garlic Shampoo. Use for oily hair. Increases blood circulation in the scalp. VICHY DERCOS ANTI-DANDRUFF SHAMPOO FOR NORMAL TO OILY HAIR 390ml. Suitable for dandruff which sticks to the hair roots and scalp. The scalp cells' bond is strengthened in order to avoid desquamation and Selenium removes all dandruff. Revive and refresh your hair. Klorane Dry Shampoo with Nettle refreshes your hair in-between washes without water and is especially for oily hair. Klorane combines the best of nature with pharmaceutical knowledge to create botanical products suitable for the entire family and continually strives to understand skin and its components while focusing on the benefits of natural ingredients. Fresh nettle leaves reduce the activity of the sebaceous glands and prevent the hair from becoming overly greasy. Due to the Bio-Vital Complex the hair is soft, firm and full of vitality. Fresh nettle leaves, composition of micronized wheat proteins, Bio-Vital Complex. And Strong Enough To Break Down. Full-size 3.1 Oz / 150 mL bottle. B5 provitamin that can be found in beer, nurtures and reinforces the strength of hair, making them healthy and resilient. Hence, it improves hair`s healthy look and brings out the shine. Nature's Gate Vegan Shampoo Volumizing Awapuhi Ginger Holy Basil gently cleanses hair with a unique blend of Awapuhi Ginger, Holy Basil and Wild Cherry Bark. Nature’s Gate, a trusted alternative for healthy hair. Ingredients: sweet almond oil, organic coconut oil, lard, castor oil, lye, distilled water, rosemary, dead sea salt, rosemary and tea tree essential oils. Our solid shampoo bars are made with hair-loving sweet almond, organic coconut and olive oils. For hair, scalp, shaving & showering, all-in-one! a healthy alternative to liquid shampoo, travel friendly. Ingredients: Saponified Coconut , Olive , Castor , Sunflower , Jojoba and Rice Bran Oil, Stearic Acid, Essential Oils, Aloe Vera , Bran . Natural Cinnamon & Vitamin E Shampoo Bar against hair loss and dandruff 5 oz. Beer is very useful for the hair growth. It also eliminates dandruff and improves the scalp. - Dead Sea salt. Salt normalizes work of sebaceous glands of the skin, since it has the ability to purify them, thereby reducing fat content. Contains A Blend Of Eucalyptus Extract. With Cooling Mint And Tea Tree Oil. For Soft And Clean Hair From Root To Tip. Impression Material. Toys & Gadgets. Health & Beauty. Do you wash hair with soap?. Not such an absurd idea, especially if you are concerned about the health of your hair. This soap is just a find for oily and weakened hair! Because the main component of this Bar is Amla. Dry Shampoo. Travel size cans convenient for carry-on, purse or bag. For fine and/or oily hair. Gives hair a refreshed look and feel without using water. Lot of 4 ~ 1.15 oz. Why use a shampoo for oily hair?. There are several factors that could contribute to having oily hair. Washing your hair in the morning only to have it greasy by mid afternoon. Our oily hair shampoo contains powerful ingredients which work in synergy to remove product buildup, balance scalp and strengthen the hair. Nature's Gate - Shampoo for Oily Hair Tea Tree + Sea Buckthorn - 32 fl. oz. 4.5 out of 5 stars - Nature's Gate - Shampoo for Oily Hair Tea Tree + Sea Buckthorn - 32 fl. oz. 11 product ratings11 product ratings - Nature's Gate - Shampoo for Oily Hair Tea Tree + Sea Buckthorn - 32 fl. oz. Nature's Gate Volumizing Shampoo 18oz (Awapuhi Ginger & Holy Basil). Trending at $11.79eBay determines this price through a machine learned model of the product's sale prices within the last 90 days. Vichy Dercos ULTRA SOOTHING Shampoo 390ml. Vichy Dercos Ultra-Soothing No-Sulfate Shampoo Normal/Oily Hair is a gentle shampoo especially suited to the daily care of normal to oily hair types. Apply Vichy Dercos Ultra-Soothing No-Sulfate Shampoo Normal/Oily Hair to wet hair and scalp. This is a Liter Set of Matrix Biolage Scalp Sync Cooling Mint Shampoo & Conditioner 33.8 oz each. Scalp Sync Cooling Mint Shampoo cleanses the excess oil from the scalp and hair and awakens with a cool refreshing feeling. Betapirox Shampoo Solution 120ml. Betapirox Champu Solution 120ml. 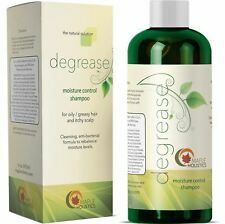 Provides deep cleansing to the scalp and hair, leaving it with an appropriate appearance. 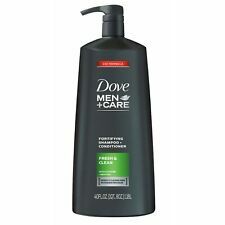 Shampoo, anti-dandruff and antiseborrheic. Directions: Apply to clean, wet or damp hair and work through to ends of hair. Rinse thoroughly. Reduces static and leaves hair tangle free. NIB FS 5.1 FL OZ (150ML) MANUFACTURER UNSEALED. NEVER DIPPED INTO, SWIPED, SAMPLED, SWATCHED, USED NOR TESTED. Mildy active against dandruff. Dandruff, fungi, bacteria and functional disorders or the sebaceous glands also impair the health of the hair. 100% soap and alkali free. Cleansers and cares for hair and scalp. Removing excess oil is now easier than lather, rinse and repeat. Ultra-fine rice starch acts quickly to soak up oil, sweat and odor leaving hair revived, bouncy and clean. How to use: Shake well before and in-between use. This shampoo contains no parabens, sulfites, SLS or any thing else you cannot pronounce! Why use Natural First shampoo?. The chemicals in traditional shampoos can cause headaches, foggy brain, scalp acne and much more. DAILY SHAMPOO. DAILY CONDITIONER. 8.45OZ (250 ML) EACH - 2 PCS. All products are in working condition. THEY'RE DENTED! FOR NORMAL TO OILY HAIR AND SCALP. Nisim New Hair Biofactors Normal to Oily Hair Shampoo 8 oz.